This is a one day give away, this great idea comes from Elizabeth of Such A Sew and Sew blog. Anyone who comments before 10 PM, today will be eligible to win. Leave me a comment about your sewing plans, or what your plans are for the next 7 days. Be sure to check here: http://emsewandsew.blogspot.com/ to see who's offering what, for today only. That is so cute! My plans for the next 7 days don't involve much sewing unfortunately; our garage has to be demolished due to earthquake damage, so we're frantically clearing it out. Once that's done though I'll be sewing a quilt for our bed. Mm. I could use this to revive my Farmers wife quilt, which hasn't seen the light of day for months! It's my birthday on Friday so I plan to have a relaxing weekend. Maybe a bit of birthday shopping and some birthday sewing! Happy Birthday to you - It is also my Hubbys birthday on Friday too! and still have Febs pattern to make! I haven't had much chance to sew this week so have some catching up to do. In the next seven days, I want to finish a quilt top that I was going full force on and then got busy when I had company in town 3 out of the last 4 weeks. I am a follower....wonderful giveaway! In my sewing room, I am still working on the Oh My Stars quilt along I joined. I have a baby blanket for my sister I am anxious to start..waiting on the fabric to get here in the mail (lol...got to love small towns). I am also working on binding on two projects that are finished. I have severa UFOs to get to before I start on anything new! I need to put binding on a quilt, and think about starting a new one. I also need to do some cleaning in between all the important stuff!! My plans for the next 7 days, that's easy. First: claim the keys to my new place (drive there 1 day, measure and meet a friend 2 days drive back 1 day) go through my things in grandma's spare room, get rhough my things at my mum's .... the actual moving will be after the "7" days report span .. Thanks for the chance! Sewing plans are to finish the outfits I am making for my granddaughters. I might get a little more sewing in before I have to deep clean for guests! my plans for the next 7 days are to get a baby quilt ready to quilt; and work on my 2-inch square swap project and a BOM from 2011 that is not finished yet. I am now a follower of your blog. thanks for the giveaway. Oh! lovely charm pack! I'll be sewing sewing sewing! I am working on some raw edge applique for some little chicks quilts for my kids. so i am hoping to finish them today. Thank you for the chance to be entered in your Leap Day giveaway. Thes next seven days are going to be playing "catch up" from everyone having the flu at the beginning of this week! Part of that will be straightening my WIPs and running a few seams. They all add up! No stitch is wasted. Your charm pack would be perfect for the quilt along I am doing this year. Stop by and see! I have just acquired so 30s Repros and this charm pack would add a great punch to a project with my fabrics. Thanks for the chance to win such a great prize. My immediate plans are to finish quilting a mini quilt for the Modern Mini Challenge at Ellison Lane. I am a new follower - thanks for the extra chance to win! Gorgeous fabrics! I would love to make dresden plates with the charms! For the next week I'm going to be making bags with some furnishing fabrics offcuts I bought recently! My plans are to finish making flying geese blocks out of charm squares using a nifty ruler. I'm also going to try to sew up some leaders for a new quilt frame this weekend. Once that is done, I'll be able to start practicing machine quilting! Thank you for a chance to win these lovely fabrics! I have a ton of WIPs I need to finish! So hopefully I'll spend the next week getting my act together on that account! I am a new follower. You have a beautiful blog! My plans are involving a lot of baby sewing - new grandbaby on the way! I see you teach Tai Chi - my hubby does too! Thanks for a chance to win the fabric pack. I would use it to make a quilt. I have some that would match up nicely. My sewing plans include two quilted tote bags, a brocade purse, and a pie/casserole carrier. I need to buy more thick interfacing. I plan to sew a few petals for my hexie flowers today. Thanks for the opportunity to win your giveaway. Cute, cute. I love charms. I'm making a doll quilt and a block for the StashBee swap. Thanks for the chance to win. I am working on granny square quilt so that's my plan thanks for the giveaway. I collect '30 fabrics and I would love to win those! My mother wants to make a 30s style quilt reminiscent of her childhood. This will get her started towards her collection of fabrics. This is very thoughtful of you. Thanks for the giveaway. I'm making travel pillows for my sister's family. She has 7 kids. So that will take up at least the next 7 days. I love the 30s fabric! Fun fabric! As for my plans for the next week, I hope to be able to down to quilting two quilt tops that I have finished, but I'm waiting for batting to arrive in the mail! Love the fabrics. My plan to to move into my sewing studio from upstairs to downstairs. Should be good for losing a couple of pounds. What a cute charm pack! I have a stack of 30's repro fat quarters for a project I want to start and this would be a great addition to that. I'm a brand new follower. Good luck, everyone! I just finished cutting 1000 plus 2" pieces of fabric for a postage stamp quilt... my wrist needs a break - ouchy! Thanks for the chance for this awesome giveaway!! I am already a follower! Thanks again! I am a follower, thanks Jan. I'm currently sewing a baby quilt in rail fence blocks from a jelly roll. Thanks for the fun fabric giveaway. I have several projects to finish...6 preemie quilts and a quilt for the Alzheimer's Art Quilt Initiative. Lots of quilting this week! Such a cute charm pack...thanks for the chance to win! I would love to win these. I will be sewing a gift for a friend's birthday this week. Love 30's prints - make for delightful snowball block baby quilts. I am working on ufo's so I can start on a NEW project. Thanks! How sweet! Love the fabric. I'm working on some table runners and finishing my mini quilt for the modern mini challenge at Ellison Lane Quilts. Today is our 28th anniversary, (but really 7....ha! ), and we're getting ready for a big snow storm tonight.....so sewing will be definitely on the agenda for the next several days! I'm working on my Jubilee quilt (for turning 50), and want to make some real progress on it! Thanks for the chances to win! I LOVE 30's prints! And I'm a new follower! Woohoo! I absolutely love this fabric! 30s Repros are my most favorite fabrics! I am working on a mini quilt using my 'lil twister square. Thanks for the chance to win!! I am a new followe of your blog, and I am also following you on Pinterest. I will be working on a table runner kit I purchased a few months ago. Thanks for the chance to win. I like to sew matching skirts/jumpers for my girls. 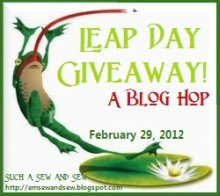 Loving this blog hop for leap day! Thanks for hosting a give a way! I need to start quilting a baby quilt. Thanks for the giveaway - love those fabrics! Not seen this charm pack before. Thanks for the giveaway. I am making a quilt for my sister in laws birthday. I am a follower :) Thank you for the chance! I plan to make lots and lots and lots of HST for a new quilt. I have a stack of quilts basted and ready for quilting. I plan to get most of that pile finished within the next two weeks. Love 30s prints! I need to finish the binding on a class sample, and make some table runners. But first I'm hopping! What fun fabrics. Thanks for the opportunity. Love the charm pack :) I've been collecting 30s prints on and off to one day make a retro quilt or possibly some appliance covers for the kitchen. I hope to make time to sew in the next few evenings, but Saturday will be spent at my son's basketball tournament. There team was undefeated this year in school, but this is just a "for fun" tournament, but I still love watching him play. Oh, and I would love to follow your blog. The more the merrier! Happy Leap Day! What a great way to spend the day, entering give aways. I have a scrap quilt I am working on and I have to find border fabric and finish a quilts of valor that I started. I love those fabrics! So cheerful and springlike. Anyway, this week, I'm hoping to finish a mystery quilt that our guild was doing, and also work on a baby quilt for my uncle. I'll be working on blocks for The Sampler Society #14, Moose on the Porch Fat Quarter Star Quiltalong, and Designer Mystery 2012 from the Fat Quarter Shop. I'm behind. Like everyone else I'm entering giveaways. What fun! Great prize. Thanks for offering. I just love charm packs. Hope to get some sewing done on this special day. I hope to sew everyday for a little while. I need to order thread to quilt my Jane Stickle quilt this week! thanks for the chance! I have sew many sewing plans but for this weekend I'm having a small quilting retreat type weekend ans I will be working on my fourth of July quilt and I may start another new Project for my sweet baby girl!!! I am a follower also thanks for the chance to win!! What a wonderful charm pack. It would work up perfectly into a Loving Hands quilt. My sewing plans for the next couple of days is to hand sew the binding on a quilt I've made for a friend recently diagnosed with pancreatic cancer. Thanks for the opportunity to enter your wonderful giveaway! thank you for the chance to win. My sewing plans are just to actually sew!!! I am planning to do some sewing on a baby quilt I am trying to finish and I need to finish sewing 40 dolls for the kindergarten my son goes to. Planning on making enough half square trianges to choke a horse this week. I plan on hemming three pairs of pants for my son's work uniform, do the binding on a little wallhanging and make a fleece bathrobe for DH. Over the next 7 days I plan to work on the plus quilt top that I started last weekend. 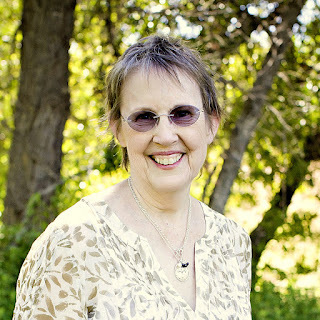 I plan to get caught up on my block for Jo's Country quiltalong. I would love to finish sandwiching and machine quilting my Block Lotto pineapple blossom quilt in the next seven days. Thanks for the chance to win. I am a new follower. Thanks for the second chance to win. Love 30's prints!! I am working on a wedding quilt. I'm hoping to get back into my sewing room. I'm cutting fabric and sewing the blocks for a swap later in the month. Some "pedal to the medal" sewing would be wonderful! Thanks for your generous giveaway! Take care! My sewing plans would be to finish a few of my UFO that were pictured on my last posting....also I have some stitching to do for a Bird Brain Designs pattern..."Love Your Cat". Thanks for the chance to win some 3o's to play with. My plans as always are to be stitching on something every spare minute I get! Love the Charm pack! I love 30's fabrics! Plans are to finish a quillow for a certain birthday girl. Now following with Google Reader. Sewing plans for the next week. I have 4 major projects on the go currently. 1. 3 dimensional quilt blocks are all done and am doing qayg to finish. 2. hand applique center block for Mimi's Bloomers. 4. Paper piecing a quilt. I love 30's fabrics! On Friday night I have Quilter's night in through Community Ed and on Saturday I have a quilt show at a high school and a lecture by Celine Perkins through Minnesota quilters. I hope to get my daughters quilt top sewn together Friday night. A 30's-style quilt has been on my wish list for a while now. These would be a great start. 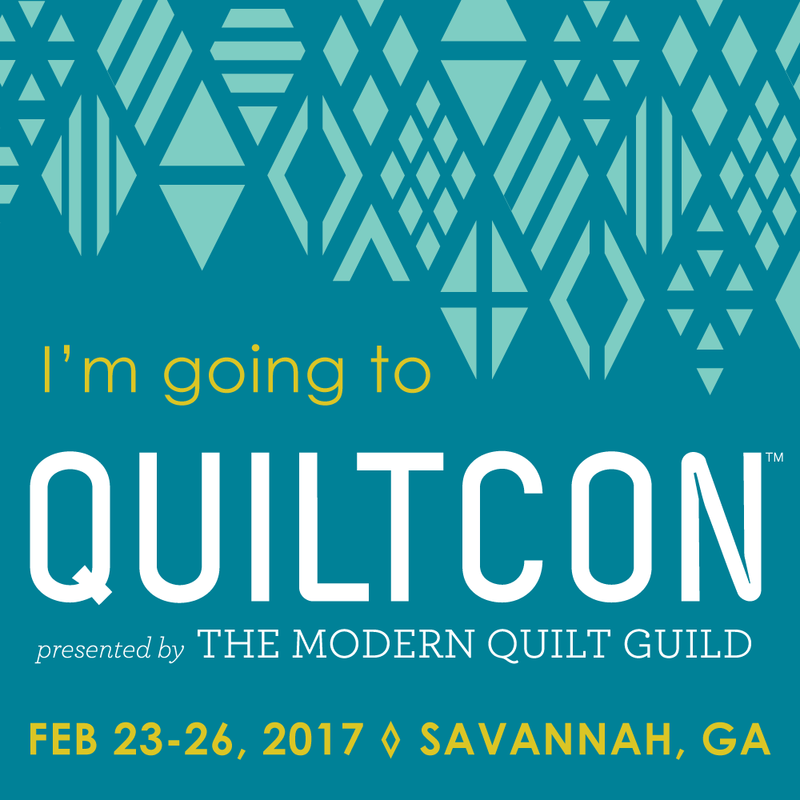 During the next 7 days I plan to assemble two quilt tops for charity quilts. Almost all the blocks are done, so I should be able to make some real progress this week! I'm going to a Riverdance show later tomorrow. Thanks for the chance for this wonderful giveaway. I am now a follower. Thank you for both giveaways. Gasp! I love these fabrics! I am supposed to be working on my Christmas Sampler today...I resolved to have the top completed before I go to bed. But I have been sidetracked by this blog hop! I am working on a quilt for my dad! thanks! I'm working on a Wallflower quilt pattern by Camille Roskelley. It's for a friend's birthday, and I'm excited about it! OHHH SO PRETTY! I adore the 30's fabric! Thank you for a chance to win such a sweet charming pack! My next project? Will be one of my UFO's - not sure which one - I have counted about 25 of them. Not so much fun - but - you have to do what you have to do - ? right? I have two next projects - Libby's Wallhanging with circles and a Holly Jolly Christmas Wallhanging. Thank for the chance to win. Well, one thing I can say is that I can't wait for my sewing weekend! About 3 times a year, a group of us get together for 3 days of sewing, laughter, good food, and a lot of fun! It will be awesome! I have to finish my mini quilt for the Modern Mini Quilt Challenge. Ahh!!!!! I'm almost caught up on my swap sewing, so I'm going to sew for ME this weekend. Thanks for a chance to win the gorgeous charm pack. Ooo...just under the wire. I love the cheerful look of 1930's print and would make a happy throw quilt out of these. Thanks for the chance. I love this fabric...thanks for being so generous...I would make a cute wall-hanging for my sewing room. I'm going to start my SWOON.